Well after a rough week we are up and at em today and I am looking forward to Thanksgiving but I really just love the simple decor this time of year and the warm and cozy colors of autumn decor. My friend Shelly gave me this "to bed with the chickens" sign and I knew I had to put it up in my bedroom and gather together my chicken decor in the room. 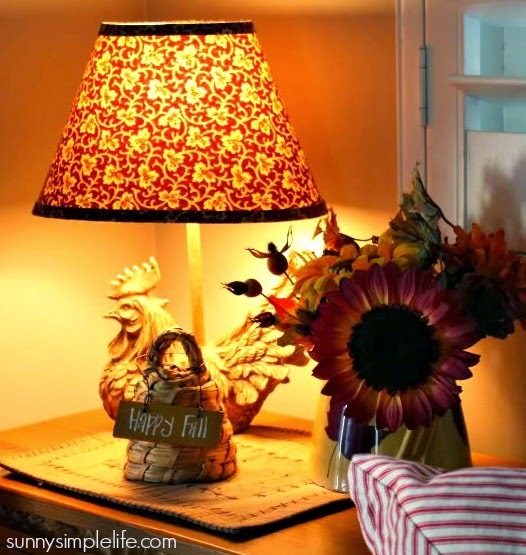 I find the colors of fall to be my favorites; russet reds, pumpkin organge, harvest yellow and cocoa browns. All my faves. The glow of lights on timers at night just makes me feel so good to see as the days get shorter and the evenings longer. Here's a cozy tip. I took one of my vintage thermos' and put tiny marshmallows in to keep handy for hot chocolate. 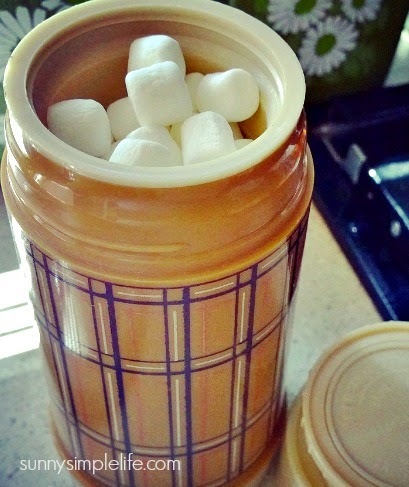 The marshmallows stay nice and fresh in the thermos. The marshmallows would be great too on top of my recipe for homemade white chocolate peppermint mocha, a frugal Starbucks knock off I came up with. I like the warm glow of your home. So cozy. Love that sign - she did a great job on it. ... Hi Elaine... I love all the lovely warm colours in your decor..... and i love your chooks... I have a few chooks in my house too..
Nice "To bed with the chickens" sign!! And of course the colorful paintings of the Rooster and Hen!! 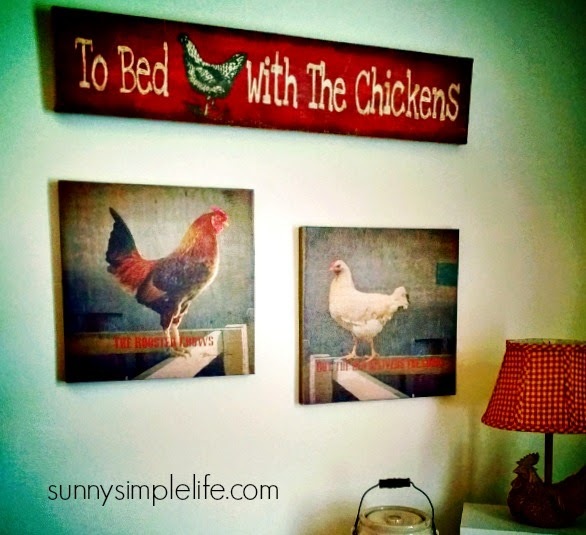 As a chicken decor lover, those pictures are right up my alley! lol..Your house looks so cozy. 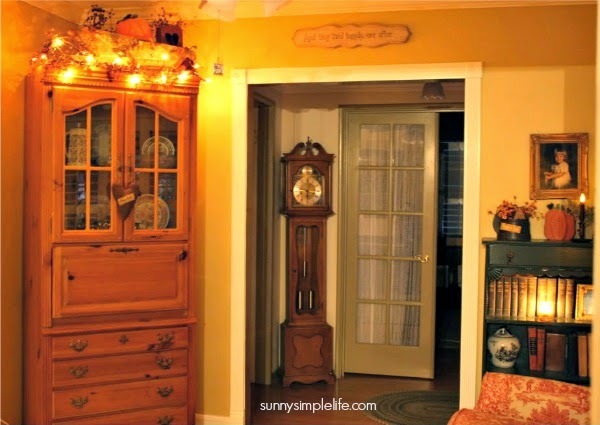 Great idea to put timers on those hard to reach lights.